The relationship between social media and privacy has long been a controversial one, but with recent privacy breaches, ever-changing privacy settings and an overall increase in the things we share in social media, there is now renewed attention to the troublesome topic. 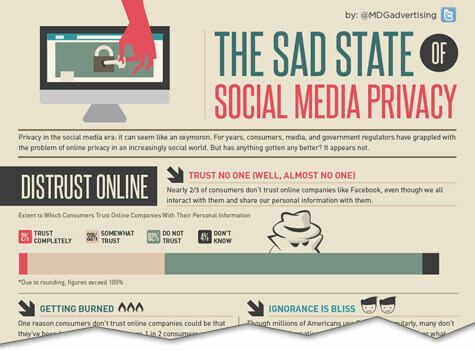 To shed some light on where consumers stand on social media privacy issues, MDG Advertising created an enlightening infographic that shows consumers’ levels of trust, feelings of control, and attitudes toward online privacy and protection. It also offers insight on what consumers ultimately want in terms of social media and privacy. 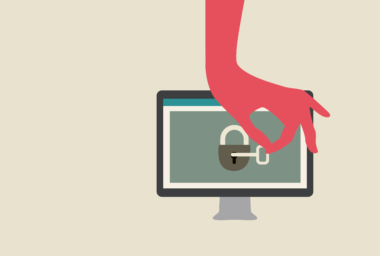 With consumers becoming more and more concerned about protecting their privacy in the social media era, social networks must make privacy a priority in order to keep consumers as fans and followers.